The health of the Chesapeake Bay's oyster population is critical for a restored Bay. Oysters are a keystone species, filtering water and providing essential habitat for other important Bay species. 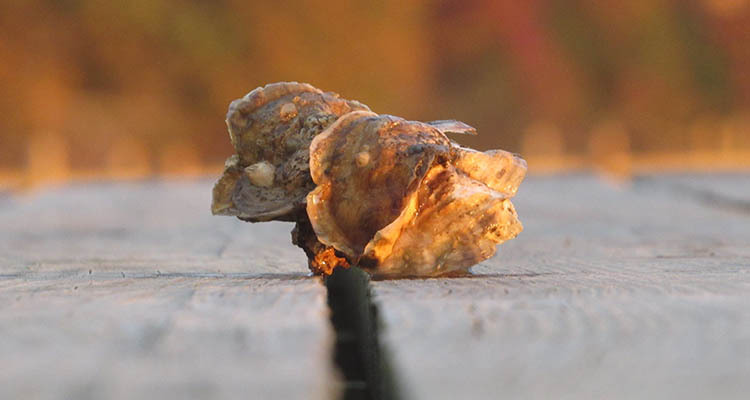 The Chesapeake Oyster Alliance is a multi-year effort designed to spark governmental action, public attention, and funding to accelerate ongoing oyster restoration efforts in the Chesapeake Bay. The ambitious goal of this collaborative effort is to add 10 billion new oysters by 2025 in Virginia and Maryland waters. A broad array of partners will collaborate to make the Chesapeake Oyster Alliance stretch goal a reality. This growing list of partners includes a range of local and regional conservation groups, aquaculturists, and other businesses from Maryland and Virginia. See our Partners page for a complete list. Also playing a key role in the restoration of Chesapeake oysters are management agencies such as the Maryland Department of Natural Resources, the Virginia Marine Resources Commission, and federal agencies that provide support for oyster restoration—the National Oceanic and Atmospheric Administration (NOAA) and the Army Corps of Engineers (ACE)—and corporate and private funders. Restoring oysters in sanctuaries—Through the 2014 Bay Watershed Agreement, Maryland and Virginia committed to restoring 10 Bay tributaries by 2025. At present, restoration programs are planting roughly 1 billion oyster spat annually, but management and funding challenges threaten the timely completion of this goal. The Alliance will work to overcome these challenges to ensure continued progress toward restoration goals. Learn more. Improving science-based fishery management—Because more than 75 percent of the Bay's oyster bottom is open to commercial harvest, promoting science-based fishery management of these reefs is essential. Learn more. Increasing oyster aquaculture—Oyster aquaculture provides economic opportunity for the Bay's coastal communities while helping protect the Bay's wild shellfish resources and providing filtration and habitat benefits. Learn more. The Chesapeake Bay has the potential to be the most dramatic example of environmental recovery ever seen. By every measure, the Bay is healthier than it was even five years ago. Now it is time to finish the job. The Chesapeake Oyster Alliance will play a key role in restoring the health of this national treasure.